Certainly among the best of these that we have seen. 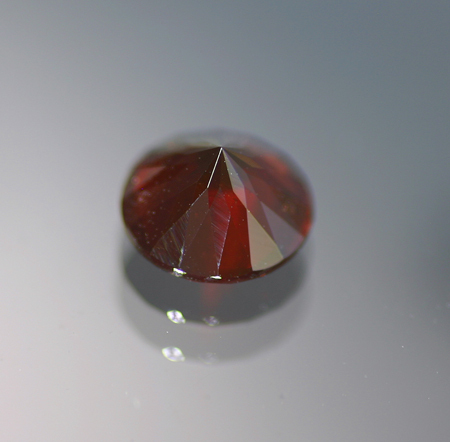 Montana Garnet of this color range are typically Pyrope-Almandine, but are rarely as nice as we see here; the color is so intense and pure that it could easily be mistaken for an Arizona ‘chrome’ Pyrope. 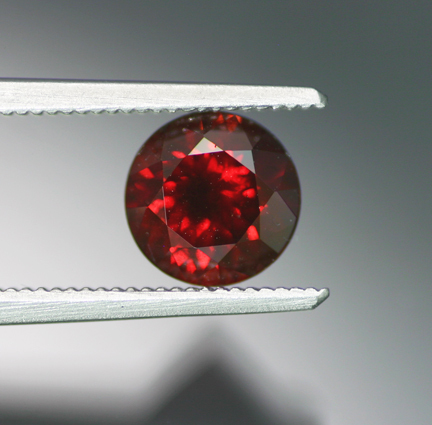 Precision cut as a fiery round brilliant and of a great size for easy jewelry use. A lovely stone from any deposit, but doubly rare as a Montana stone.